Can a Dog Bite Land You in Jail? Dogs may be man’s best friend, but having an aggressive dog can also be a costly legal nightmare for its owner in more ways than one. When it comes to canine caused injuries Florida is a strict liability state, meaning if your dog bites someone you are responsible for that person’s injuries. It doesn’t matter whether you knew your dog was dangerous, or whether the dog had ever bitten anyone before. You’re still responsible as long as the bite occurred in a public place or the person was lawfully on private property (in other words you’re only off the hook if your dog bit a trespasser or someone breaking into your home). And dog bite cases can cost thousands of dollars depending on the extent of a person’s injuries. But beyond civil penalties, can a dog bite actually result in criminal charges against you? In Florida the answer is yes. 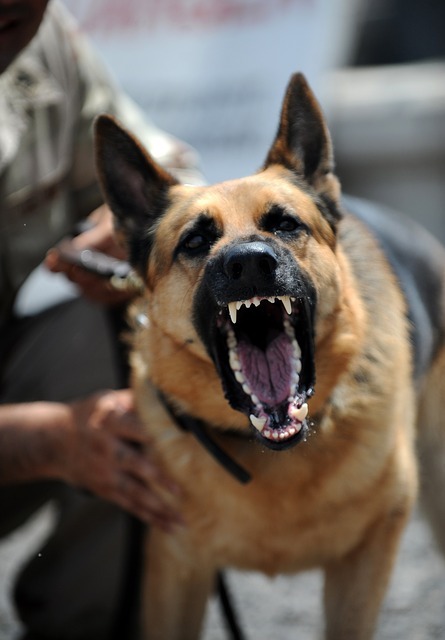 Florida has a “Dangerous Dog Act” which states that a dog’s owner can be charged with a misdemeanor if a dog classified as “dangerous” by the Animal Control Board attacks or bites a person or a domestic animal without provocation. Even if the dog was not officially classified as dangerous, if the owner knew the dog had been aggressive in the past, he can still be charged. In the rare/extreme case where an owner knows the dog is capable and likely to cause death or great bodily injury if not restrained, the owner can actually be charged with a felony if the dog kills or seriously injures a person. Thankfully most dog owners don’t buy a dog with the intention of having it hurt other people. Some people want aggressive breeds for protection, especially in neighborhoods or cases where they may already feel unsafe, which is completely understandable. For example, a woman who has previously been assaulted may feel more comfortable walking at night with a German Shepherd. But unfortunately Florida’s dog bite laws are heavily weighted against the owner. Civilly the owner is strictly liable for a bite even if the dog has been friendly, placid and agreeable it’s entire life. So if you do have a dangerous, or aggressive dog, make sure to take any and all precautions to keep both you and your dog out of trouble. When you aren’t with the dog, make sure he is secured inside your house, or properly restrained by either a fence or chain. Put a warning sign up on your fence so visitors and passers-by are on notice. If you really don’t trust the animal, consider a muzzle when taking him out in public. It may seem like overkill, but spending a few dollars being extra careful could save you thousands in the long run.